With support from the New Right, Yisrael Beytenu, Otzma Yehudit candidate expected to win vote, be permitted to run for Knesset. Education Minister Naftali Bennett’s New Right party will vote against a petition to bar Otzma Yehudit Knesset candidate Michael Ben-Ari from running in next month’s election, a spokesperson for the New Right said Wednesday. “We are tired of the hypocrisy and the inclusion in the Israeli Knesset of parties which seek to undermine the State of Israel,” the New Right said. In addition, the New Right said it would back a proposal to ban the controversial Balad party, an Arab nationalist faction which ran as part of the Joint Arab List in 2015. Lawmakers from the left-wing Labor and far-left Meretz factions had submitted petitions to bar Ben-Ari from running for the 21st Knesset, citing Facebook videos in which Ben-Ari called to confront Arab terrorism and ‘recognize’ Israel’s enemies as such. “You must call a dog by its name,” Ben-Ari said in one such video named in the petition. On Tuesday, Attorney General Avichai Mandelblit rejected a petition to ban fellow Otzma Yehudit candidate Itamar Ben-Gvir, but endorsed the petition against Ben-Ari. Mandelblit also expressed opposition to a petition against the Arab nationalist Balad party, citing a “lack of evidence”. Balad is currently running on a joint ticket with the United Arab List. 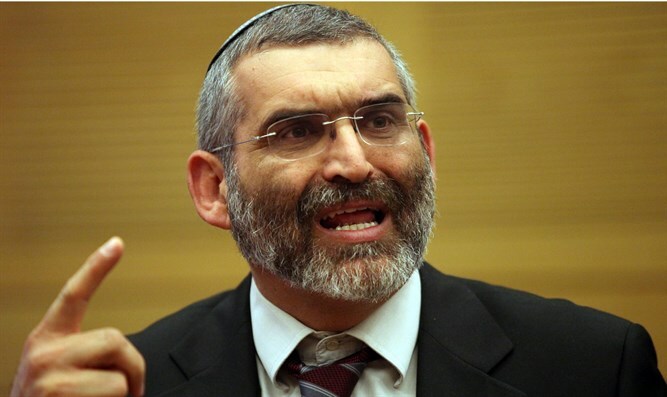 Along with the New Right, the Yisrael Beytenu party is also reportedly planning to vote against the petition to bar Michael Ben-Ari from running for the Knesset, according to Hadashot 2. Kulanu is said to be planning to abstain, leaving a small majority against barring Ben-Ari. Michael Ben-Ari is widely seen as the Otzma party’s “safe” seat in the next Knesset, placed fifth on the joint Union of Right-Wing Parties list, which also includes the Jewish Home and National Union. Itamar Ben-Gvir, placed eight on the joint list, is viewed as a realistic, but long-shot for entering the Knesset. The Israeli Central Elections Committee is set to vote Wednesday on the petitions to ban the Otzma Yehudit candidates and the Balad party. The committee, which is made up of Knesset members and is chaired by a Supreme Court justice – currently Salim Joubran – is now expected to support Ben-Ari’s candidacy, albeit by a narrow margin.